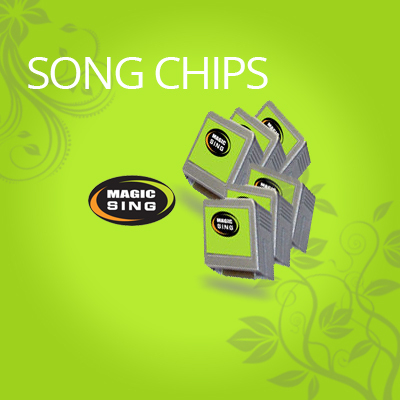 Magic Sing is a complete Karaoke system comes with built-in songs but we also provide additional song chips for a great Karaoke experience. Magic Sing Karaoke Microphone can take up to 4 chips at any time. Each chip simply slots into one of the expansion slots on the base unit of ET-19KV.